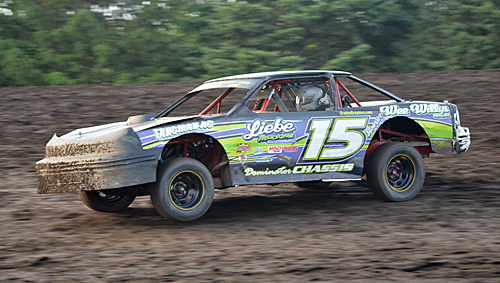 Leah Wroten of Independence, IA, won a IMCA Hobby Stock thriller. 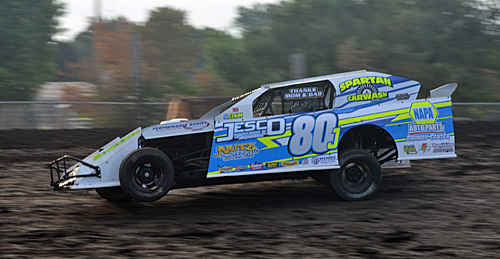 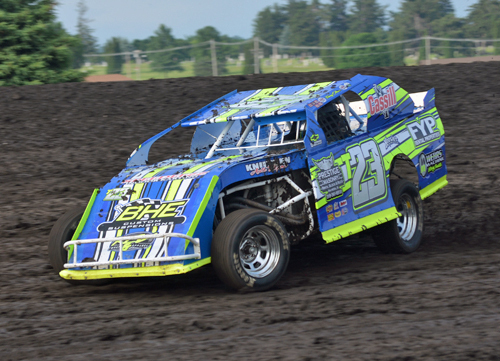 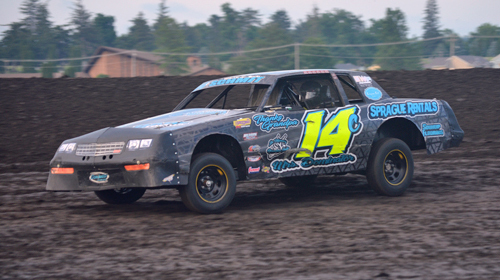 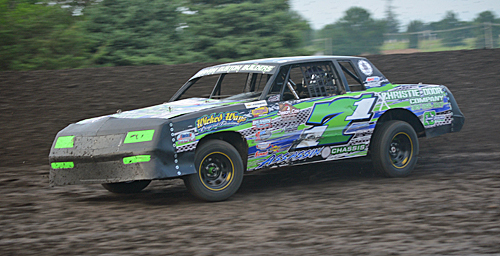 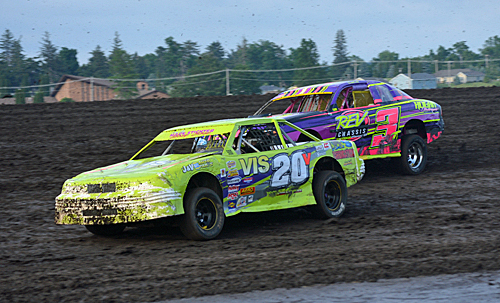 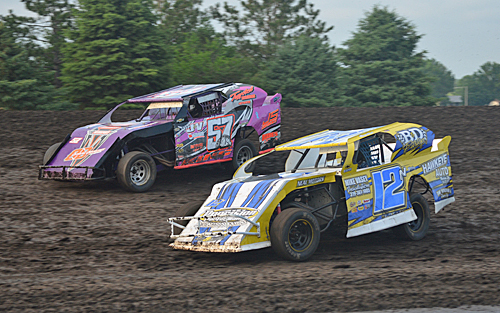 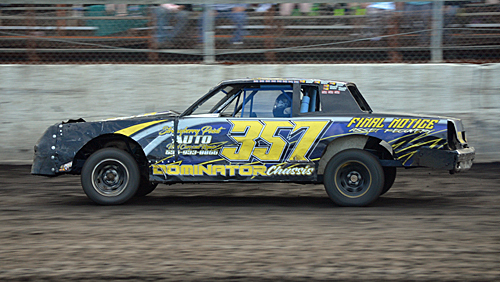 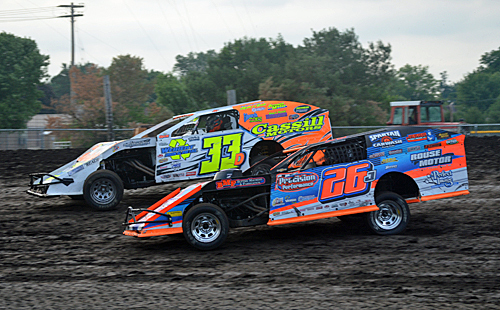 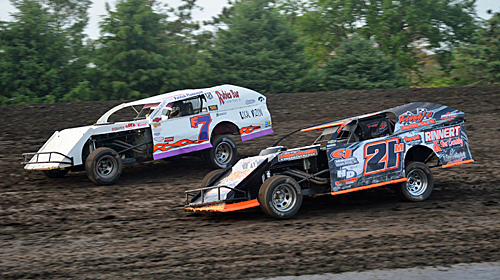 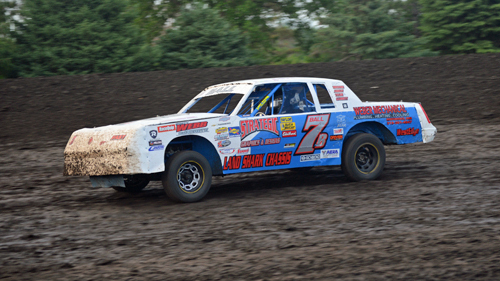 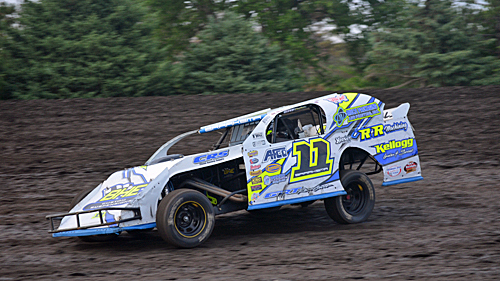 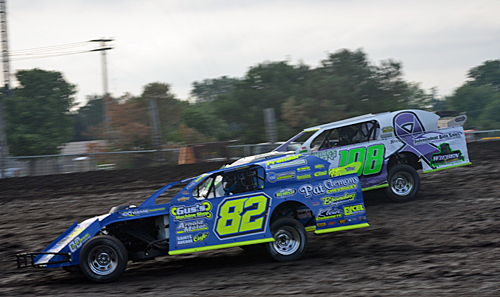 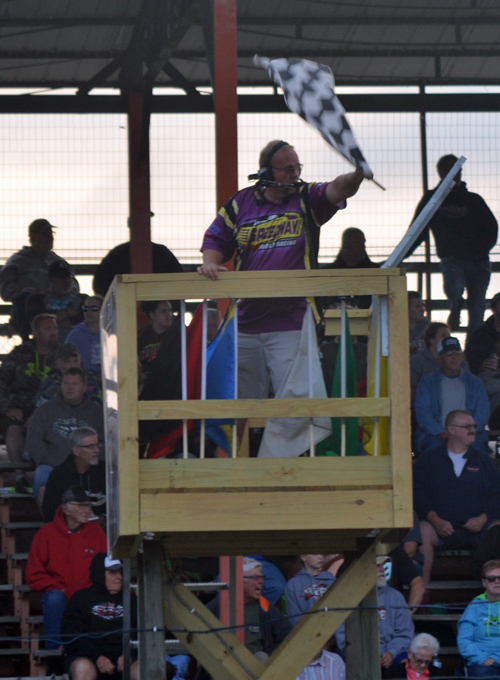 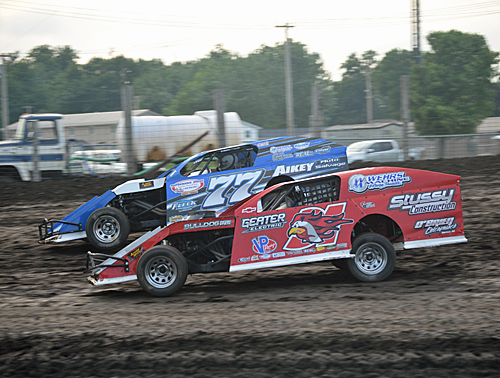 Richie Gustin of Gilman, IA, collected $1,000 after winning the IMCA Modified A-main. 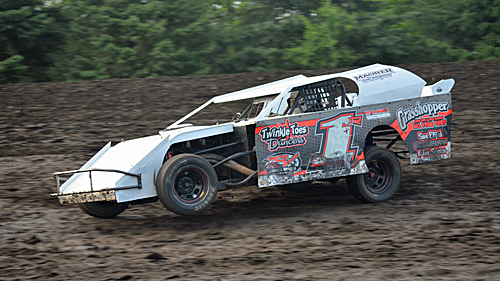 Tony Olson of Cedar Rapids, IA, was $1,000 richer after his IMCA SportMod victory. 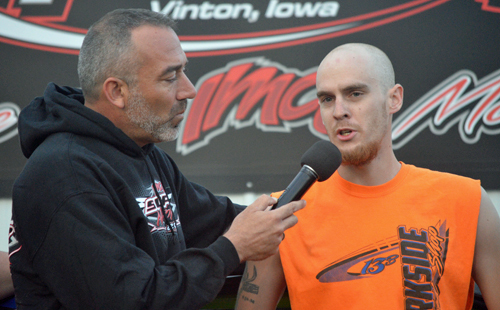 Barry Taft of Argyle, IA, is interviewed in victory lane by track announcer Ryan Clark after winning the Sport Compact feature. 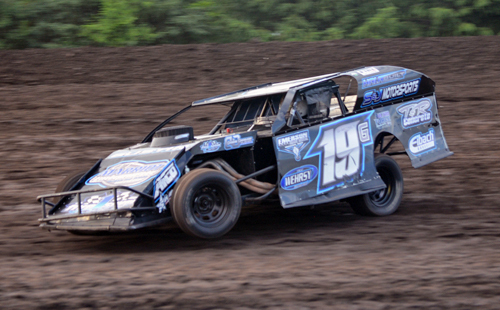 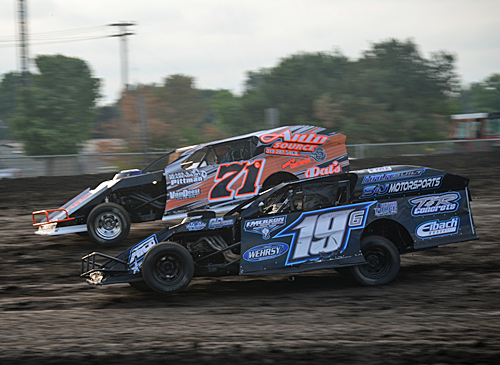 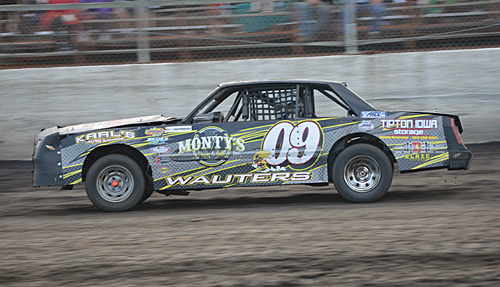 Damon Murty #99 powers by John Oliver Jr. #05 en route to a IMCA Stock Car victory. 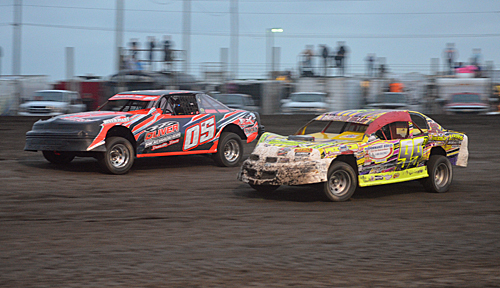 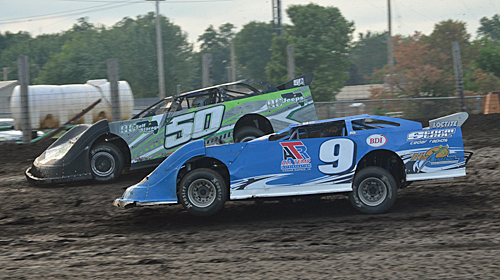 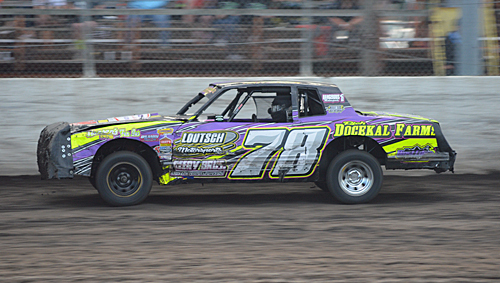 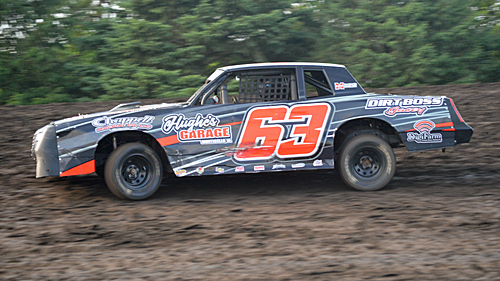 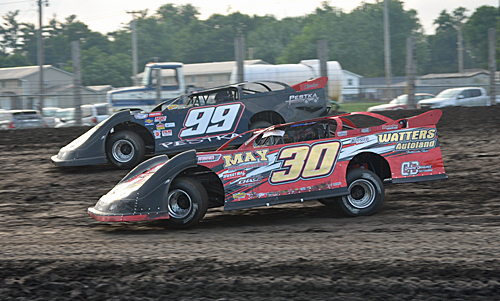 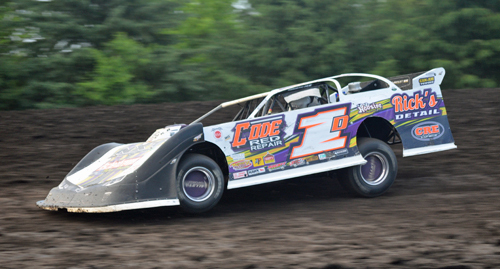 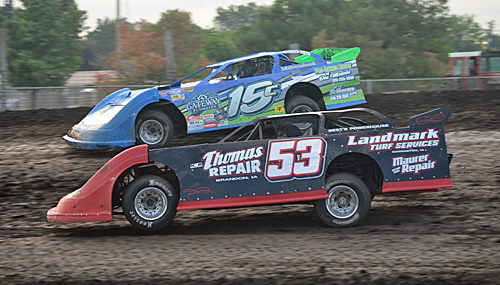 Lisbon, Iowa's Ryan Dolan was dominant in the IMCA Late Model contest.